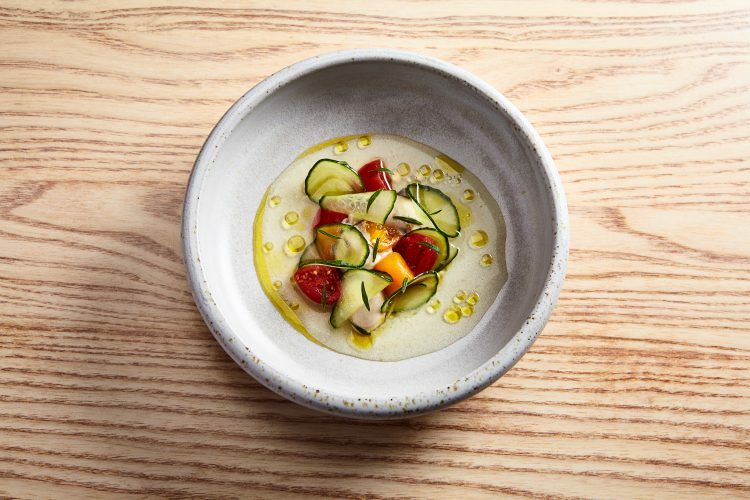 Dishes at Borough include oyster, tomato and cucumber. Looking for new restaurants in Glasgow and Edinburgh? Pull up a chair, unfold your napkin and tuck in. We'll start with new restaurants in Glasgow. First up, we understand that Pasta Valentino will soon open its doors on Dumbarton Road. Run by the same people as Vino Valentino on Chancellor Street, the new venture promises 'authentic, fresh pasta'. Looking further into the future, the Stonegate Pub company is planning to open a branch of its Felson's brand on Renfield Street in September. Felson's Cocktail Lounge and Stick Hall will be an American pool hall serving cocktails and food. Burgers, sarnies and wraps will be the order of the day. In Edinburgh, there are a couple of new places which are gearing up for launch. The Barologist will be a new bar in Leith. Work recently started stripping out the former Cameo Bar on Commercial Street. At the other end of town, the team behind Good Brothers wine bar in Stockbridge are working towards the opening of Little Rascal Wine. The new wine bar will be on St John's Road. Last weekend saw the launch of Borough in the Leith premises formerly occupied by Norn. Head Chef Darren Murray, who previously worked at Norn, promises a modern European menu of bold, precise flavours. This means dishes such as mackerel tartare with green strawberry and elderflower or Borders pigeon with beetroot and black pudding. Based around the seasons and local sourcing, the menu will change frequently. All dishes can be paired with Borough’s extensive selection of fine wines. More than twenty are available by the glass. Borough’s soft launch run until Friday 20th of July with a 20% discount on the food bill while the restaurant beds in. 'Drawing inspiration from our own neighbourhood and others like it around the world Borough is inspired by the enclaves of individuality and creativity that bring people together over a shared experience. 'Borough’s menu foregoes the rigidity of a tasting-style format or even the constraints of "starters, mains, desserts", instead offering a flexible selection of savoury and sweet selection plates that are ingredient and flavour-forward. 'The menu also showcases the best of the season which is testament to our partnerships with local suppliers. As always, keep checking back to the 5pm Dining blog for new restaurants in Glasgow and Edinburgh.